All right I may as well admit it.I’m an absolute and out right gadget freak.More specifically a Kitchen gadget freak.Travelling does that some how.An incessent and obsessive need to browse through home and kitchen stores,walk down endless aisles of supermarkets,on the look out for some kitchen gadget or house ware that would make cooking a lot more interesting.That, I do not have any more shelf space is another story all together.Amongst the stuff that I’ve been amassing over the years are hordes of Bakeware, Cookware,Gizmos and various other kitchen memorabilia collected over numerous travels ,making the insides of my pantry resemble a well stocked Kitchen-ware store.No,I’m not complaining,just overjoyed at my stash.After all having the right equipment makes all the difference. An eternal debate for me has been making a conscious and healthy choice with regards to the Cooking Oil I use in my kitchen.For many of us seem baffled with the various alternatives available on the supermarket shelves and in stores. I for one have been using Sunflower Oil for some time now and have been on the look out for a lighter and a healthier alternative. Having moved to Mumbai just about a year ago, I’d been following many debates on the best medium of Cooking Oil.All though one may argue and have multiple views on this topic.I’m very conscious of the Oil used for regular cooking in my kitchen as using good Cooking Oil is of prime importance for my family’s well being.That said and coupled with some extensive research made me realise that it was perhaps time to explore using Rice Bran. 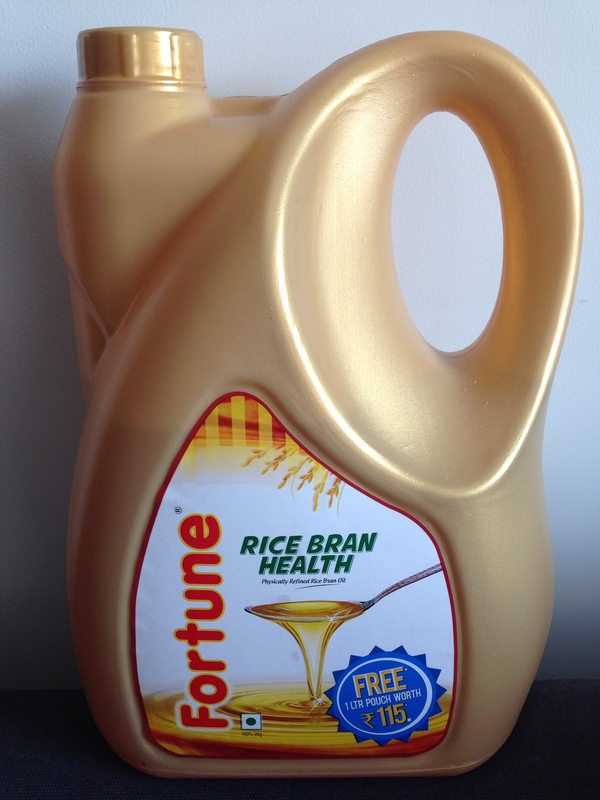 And just as well,this 5 kg pack of Rice Bran Oil arrived from Fortune Foods last week. Rice Bran Oil is extracted from the rice husk and has some great health benefits.It is enriched with multiple nutrients like Oryzanol that makes it extremely healthy and heart friendly. Rice Bran Oil is a new entrant in the market and soon becoming fairly popular with those looking for a healthier option. Cholesterol lowering oil: Heart friendly. Oryzanol: Improves HDL/LDL ratio. Healthier heart. 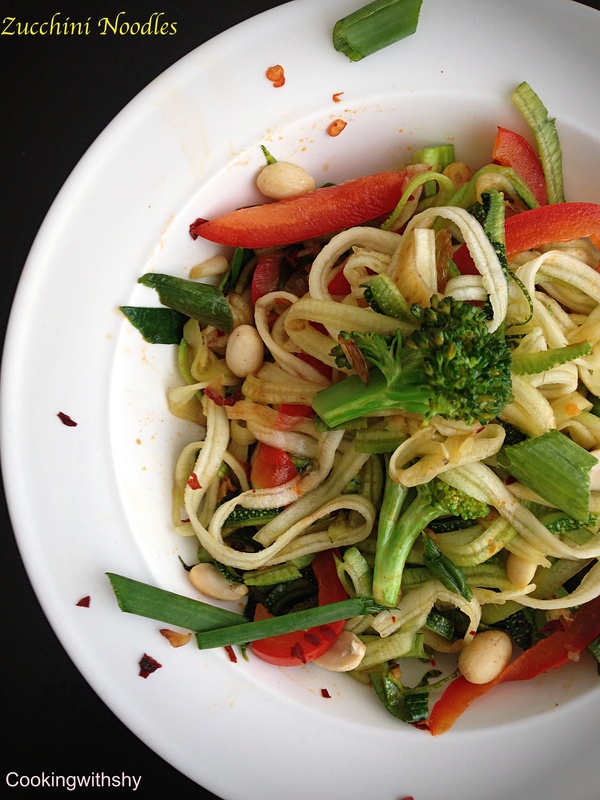 Balanced PUFA/MUFA ratio: Cleaner blood vessels. Balanced Fatty Acids#: Balanced nutrition, balanced health. Tocotrienols & Phytostrerols*: Anti-cancer properties. Squalene: Improves skin tone and delays wrinkle formation. Vitamin E: Helps maintaining balance of nervous system. Natural antioxidants: Protection against diseases. 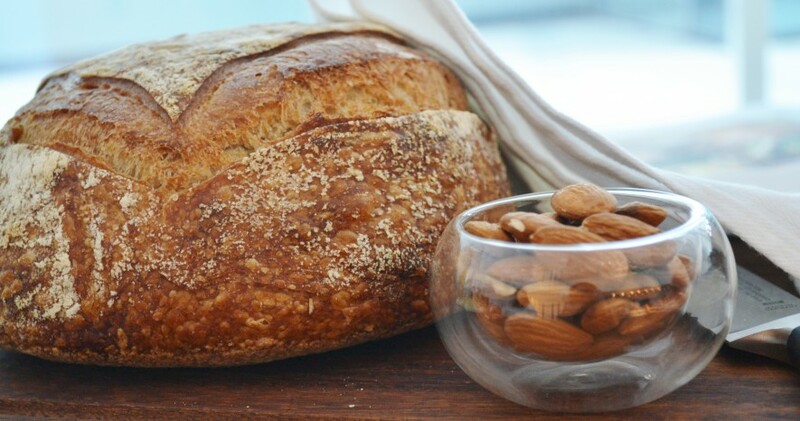 Ferulic acid^: Stimulates hormonal secretion, rejuvenates health. Low oil absorption: Healthier food. 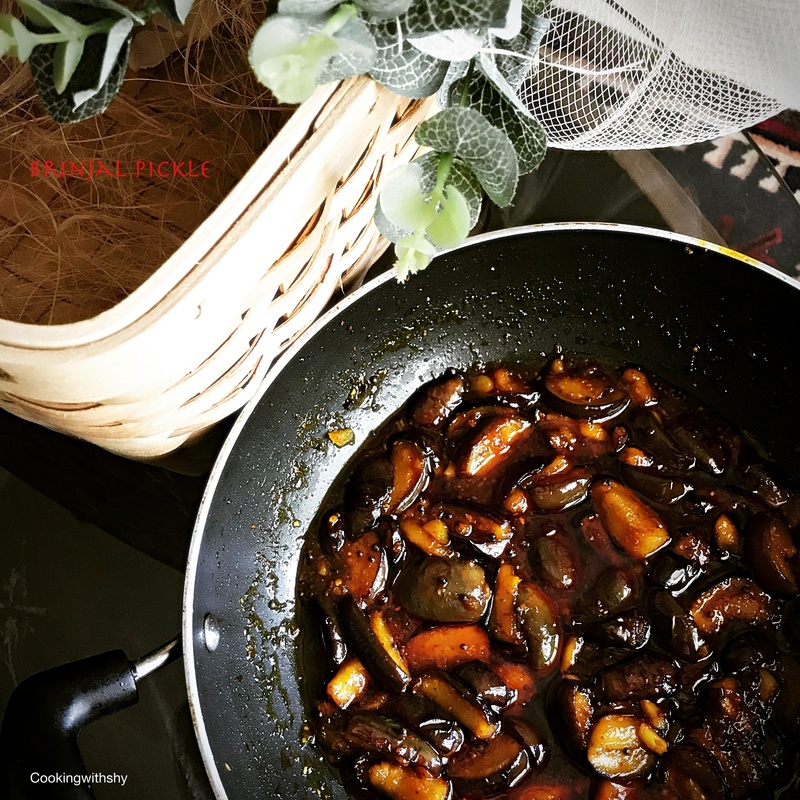 Here is a super easy vegetarian recipe that I made up over the weekend using Fortune Rice Bran Oil. Verdict:Well it’s been about a week of cooking in this Oil and I’m very happy to have made the switch to Rice Bran Oil.I personally find it much lighter than most other cooking oils’ I’ve used.It’s fairly odourless and a mild and pleasant flavour.Best of all it has a high smoking point and that works really well for the Indian Cuisine especially deep frying and stir frying. Soak the Soya granules in some warm milk for about 30 minutes and then squeeze out the milk and keep aside. In a pan heat some Oil and let it heat. Add the jeera and let it splutter and then add in the onions and fry well. Next fry the ginger-garlic paste for a few minutes. Put in the diced tomatoes,fry well and add some water so they cook well. Once the spices and tomatoes are cooked add in the soaked soya granules and fry for about 8-10 minutes. 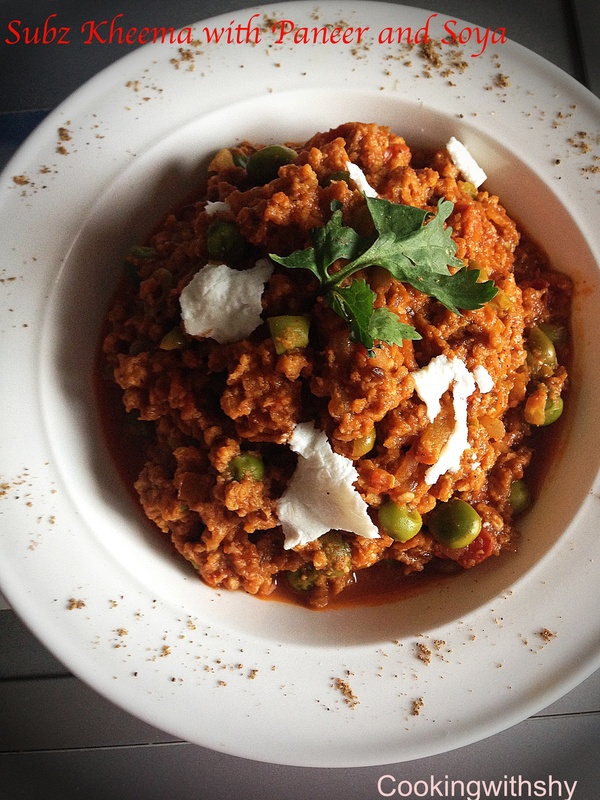 Lastly add in the crumbled Paneer and mix well. 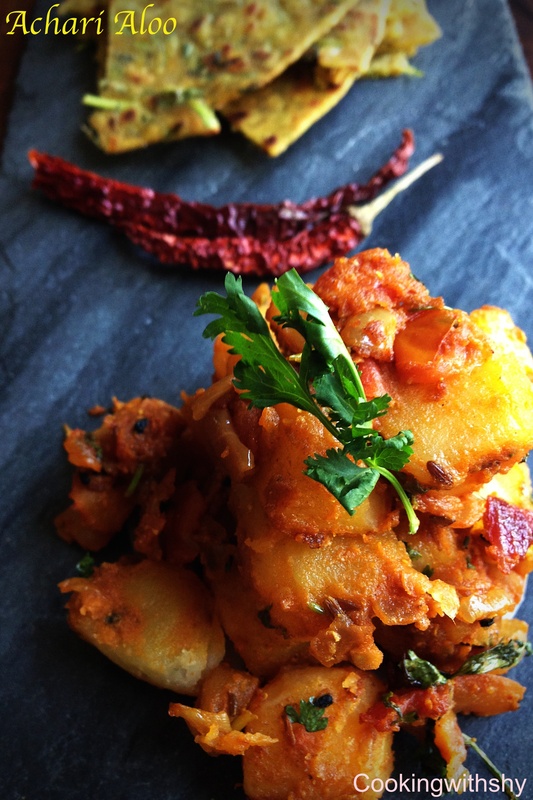 Sprinkle with garam masala and garnish with some chopped coriander. Disclaimer: The above thoughts and views expressed on Rice Bran Oil are part researched from reliable Internet sources and some information derived from the Company website.The Recipe is my initiative to promote Fortune Rice Bran Oil which was sent as a complementary sample for me to use.